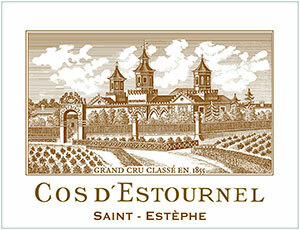 The 2004 Cos d'Estournel is a blend of 74% Cabernet Sauvignon, 24% Merlot and 2% Cabernet Franc. Deep garnet in color with a touch of brick, the nose is still very youthful, sporting notions of plum preserves, blackcurrant cordial and Black Forest cake with hints of garrigue, wild sage, charcuterie, black olives and unsmoked cigars. The medium to full-bodied palate is generously fruited with bags of earthy and black fruit preserves layers, framed by chewy tannins and seamless freshness, finishing long.